Situated just three minutes from the terminal, Secure Airparks offers competitive rates, along with speedy transfers that run all night. Secure Airparks are the only airport parking operator at Edinburgh Airport that drop off and pick up customers outside the main entrance to the terminal. Ideal for all travellers looking for fast and cost-effective airport parking. Electric/Hybrid Plug in Cars Only. Electric is included in the price. Please bring your Standard UK Type 2 Connection Cables with you. Buses operate on demand 24 hours a day and transfers take just a couple of minutes. A holder of the police-approved Park Mark® Safer Parking Award, Secure Airparks features CCTV, security fencing and is manned 24 hours a day. Staff are happy to assist with the loading and unloading of luggage. A disabled toilet is available as well as ramps. The car park uses a single-deck bus allowing disabled passengers to be transferred to the airport while remaining in their wheelchair. 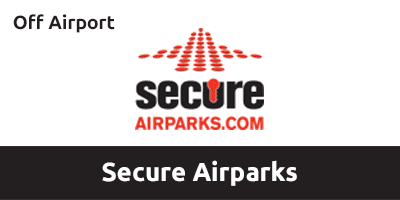 Secure Airparks is open throughout the year, 24 hours a day. Vans are permitted between November and April for an additional charge of £1 per day and there is a £5 per person over seven passengers, payable to the car park on arrival. Trailers are not permitted in the car park. If you have made a booking for an Electric Bay , please bring your Standard Type 2 Connection cables with you. Exit at M8 Junction 2. At the roundabout join the A8, following airport signs. Continue along the A8 for two miles. Turn left at the second exit along Ingliston Road, leading you to the car park. Exit M9 at Junction 1. Merge left onto the A8 towards Glasgow. Continue along the A8 for 0.5 miles. Turn left onto Ingliston Road, leading you to the car park. Drive to the entrance and approach the barriers. Follow instructions on the entry screen and print a ticket. Enter the car park, grab your bags and head to the transfer station. Secure Airparks are the only Airport Parking Operator at Edinburgh Airport that will drop you right outside the main entrance to the terminal. Call the number provided on your ticket to request a transfer. Head to Stand H (International Arrivals) siutated at the front entrance of the airport to catch the bus back to Secure Airparks. Insert the ticket provided on entry and the barrier will rise.